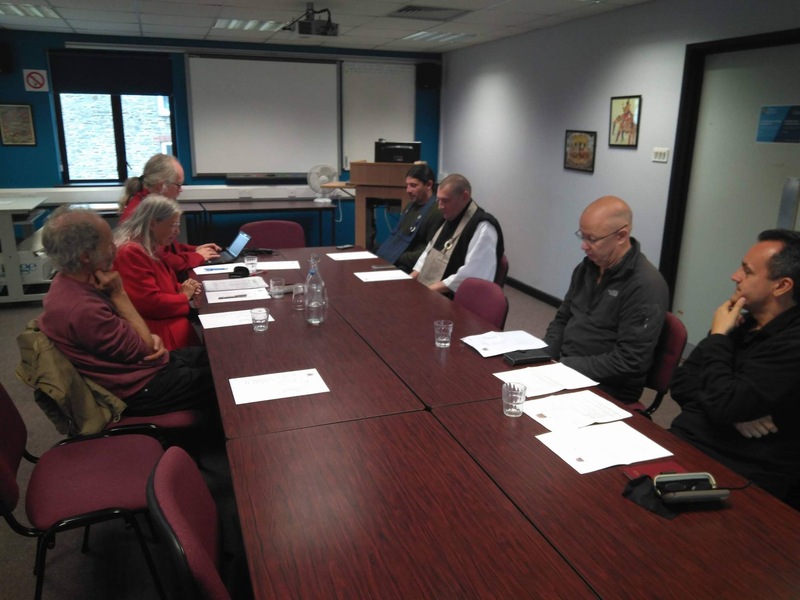 We were delighted to host the AGM of the Buddhist Council of Wales at Lampeter University on Saturday. 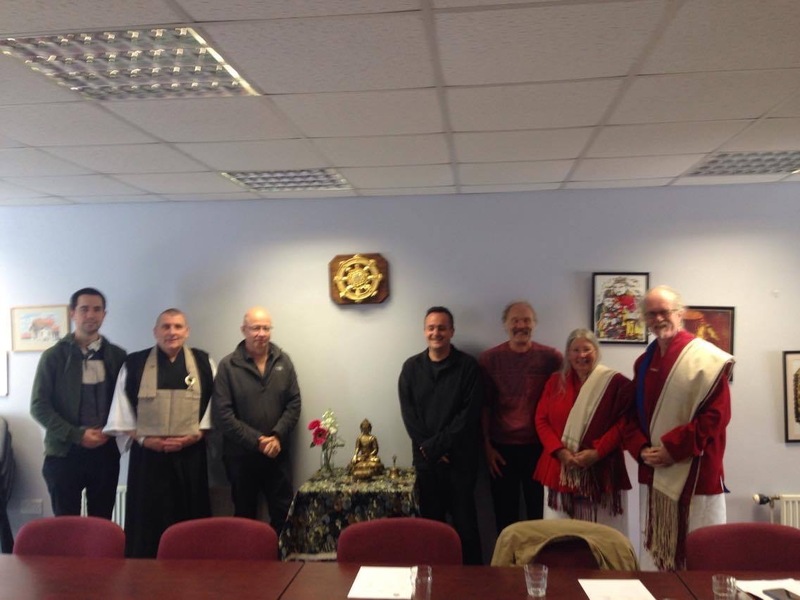 Productive discussions were had on the future of Buddhism in Wales and the role of the Buddhist Council in the wider community. We made beautiful friendships, shared ideas, practice and a lovely meal. 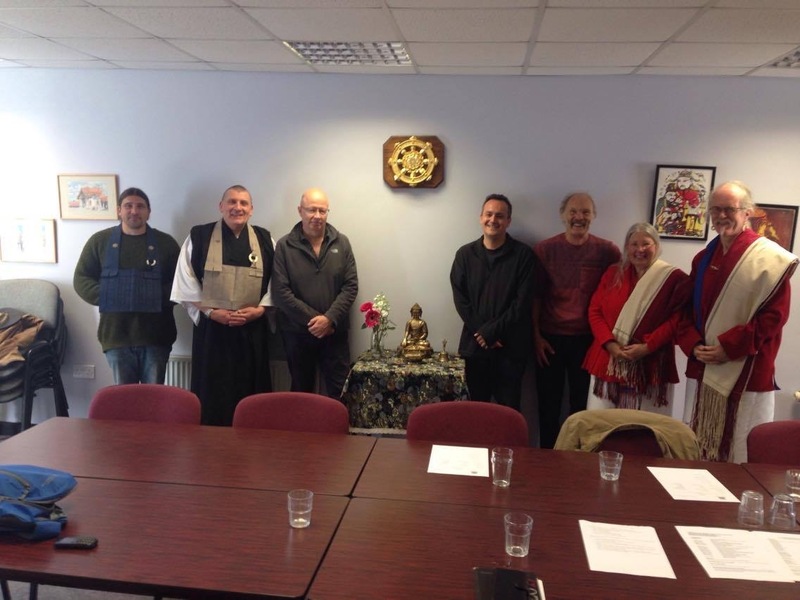 We look forward to future engagements that foster harmonious relationships between Buddhist groups in Wales & interfaith events, both of which allow us all to realise our true essence. “Most think that a religion is belonging to a group that shares a system of beliefs. In reality each individual has their own religion. Religion is the peace of mind felt when you are truly yourself. It structures your daily life, but it can’t be explained or shown to anyone. I think religion is this stability hidden deep in one’s self. Different for everyone, it’s what allows someone to keep to the way without anyone else’s help. It is obvious that if religion is our own essence, the disputes between different branches of Zen seem totally insignificant. Likewise, it is useless to try to imitate Shakyamuni or any other master. At other times there were other ways. What is essential is for everyone to seize their own peace of mind, here and now. The lives of the ancients show that they all had the power of maka hannya. For example, the great patriarch Kanadaiba didn’t give conferences, or even commentaries on the texts, he deepened his wisdom by living it each day. Grasp the self, the ultimate in ourselves, the true ego – whatever you call it. It is absolutely necessary to seize it, for as it is, it is the nature of Buddha. The young girl will find happiness in her state as young girl; and as a woman, in her state as woman; next as a grandmother and finally in death. Too often, the young girl is in a hurry to become a woman; and when she’s a woman, she wants to be a mother. The servant girl hates cooking and right away wants to be boss; but as a boss she finds the work too stressful. I wish that everyone would fully enjoy their life. One day I got a postcard from a policeman telling me that he was trying to live fully his life as a police inspector. When I read this, I had to laugh. That’s exactly it! He perfectly realized my teaching. Becoming buddha is becoming oneself completely. When you are not yourself, life is hell. Suppose a jackal tried to imitate the lion’s roar, he could open his mouth and howl as much as he wanted. Being who he is, his voice won’t carry. The law of the Buddha teaches how to become a lion, that is to say: how to live authentically one’s true nature. Thanks to this, we can lead a life worth the pain of having lived. Whether roaring or meowing, if it’s your true nature, it is a life that works for the good of all. 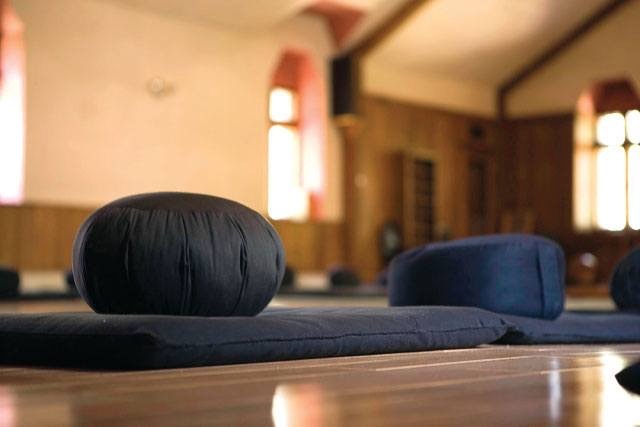 All are welcome to join our community this Sunday from 10am – 5pm at 2 Humphrey St for a day of silence and stillness. The day will include zazen, dharma talks, kesa sewing and Japanese style oryoki lunch. We suggest a donation of £12 (to cover lunch and venue hire costs) although no one will be turned away for lack of funds. Please do not hesitate to Contact us for more info.